At each of the last 16 Budgets or Autumn Statements – known as “fiscal events” – it was predicted that productivity growth would return to 2 per cent. During last week’s Budget, however, the chancellor admitted that this prospect is no longer on the horizon. With productivity growth expected to be as low as 1.6 per cent by 2022, we will have seen hardly any improvement for at least 15 years. As the Treasury noted this week, the only way to improve living standards is to improve productivity. For that reason, this dismal situation should keep every economic policymaker awake at night. Yet, as Theresa May launches her industrial strategy today, there is a simple explanation for the mess we find ourselves in. Increases in output per hour come from only a narrow range of investment opportunities, which are nearly all concentrated in the market-driven private sector. They cluster round mechanisation, technology and power – and very little else. Most of this activity is found typically in light industry, although some is in the tech-driven parts of the service sector. Britain’s problem is that depreciation is now greater than new investment in these key areas of our economy, so that net investment in them is negative. This, in a nutshell, is why productivity is static. Though essential, investment in the public sector is not an alternative route to rising productivity. However important the social reasons are for investment in road, rail, schools, hospitals and housing, pouring money into infrastructure does not increase GDP on average to any significant extent. Nor is high-tech or heavy industry much better. Their capital to output ratios tend to be higher and the pay-off periods longer. than in low and medium tech manufacturing. John McDonnell has identified “long-term, stable, patient investment” as the silver bullet here, but this will not turn the tide in itself. Put simply, investing in Britain is largely unprofitable because our cost base is too high. It is cheaper to get all these sorts of goods produced elsewhere – not only in relatively low wage economies such as in China but also in countries such as Germany and Holland, which have much more capital equipment behind each worker and far superior training systems than we do. Now we have plenty of evidence as to whether the cost base for Britain’s light industrial manufactures is charged out at a competitive level or not – and the evidence is damning. As late as 1980, almost 30 per cent of GDP came from manufacturing. Now it is less than 10 per cent. What has happened is that light industry – other than high-tech which for a variety of reasons is not nearly as price sensitive as low- and medium-tech – has been driven out of business because it could not compete. 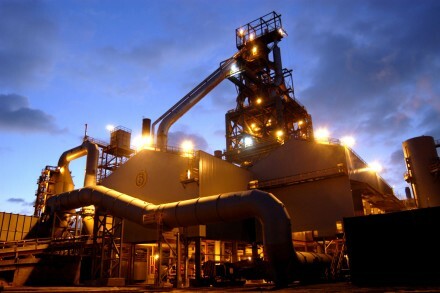 At least since the 1980s, when Margaret Thatcher’s monetarism came to the fore, high interest rates – reinforced by the sale of British assets on a grand scale – have driven the pound up to heights which made nearly all internationally tradable manufacturing operations here unprofitable. This is why investment in these key areas is so low – and why productivity and living standards are static or even falling. But don’t we do well enough on services to make up for this? Unfortunately, again, not. We have lots of natural advantages on services – our geography, language, legal system universities and well attuned labour force – to provide a trade surplus in services which in 2016 came to £92bn. Unfortunately, this was much more than offset by trade deficit on goods of £134bn. The reality is that we are never going to get our balance of payments into sustainable condition unless this gap is closed. Our stellar performance on services, however, also explains why we are in such a mess overall. Because they are not nearly as price sensitive as goods, services can happily live with an exchange rate of $1.50 to the US dollar – and it is people in the service sector who dominate our political and economic life. They cannot understand why manufacturing can’t compete if they can. Unfortunately, it can’t. Britain has no particular natural advantages as a place for manufacturing in a footloose world – and without a competitive exchange rate – it will never prosper. And without a reasonably strong manufacturing base – perhaps 15 per cent of GDP – we will never get our economy re-balanced so that it can grow on a sustainable basis fast enough for real wages to increase. This is why we need a radical change of exchange rate policy to make manufacturing pay again. Unfortunately, this is the only realistic way to get productivity on the rise again.